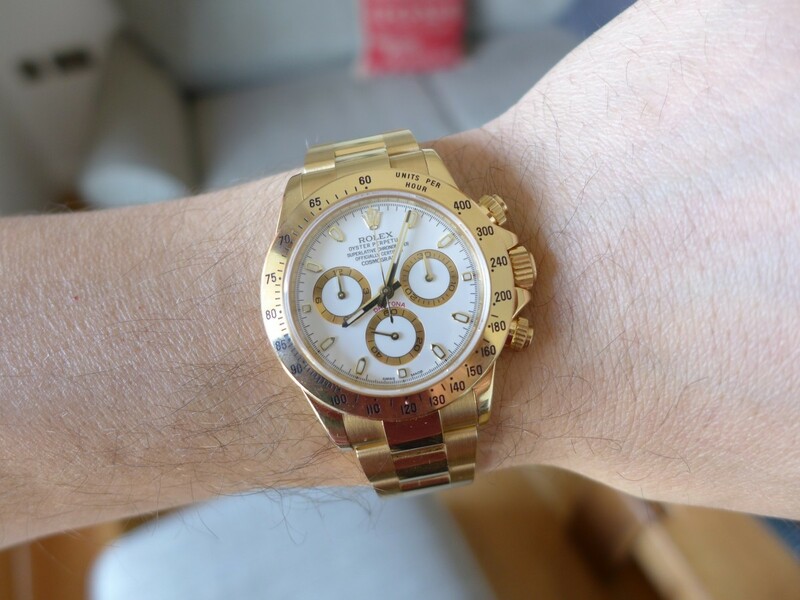 A day wearing a Rolex Daytona 116528 Solid 18ct Gold with a white dial gold sub dials, I recently had the opportunity to purchase this Daytona which needs no introduction and is truly a iconic piece the Daytona. 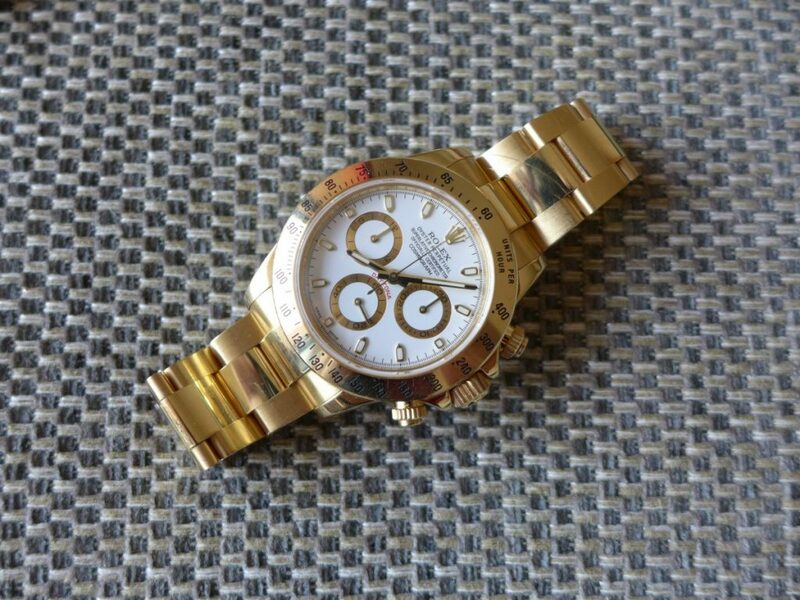 I have owned a few of the more modern Daytona’s over the years. 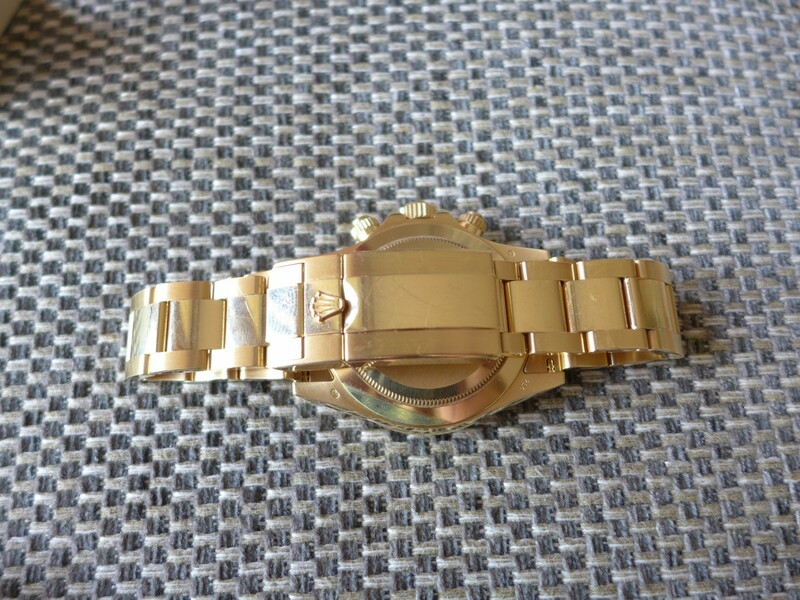 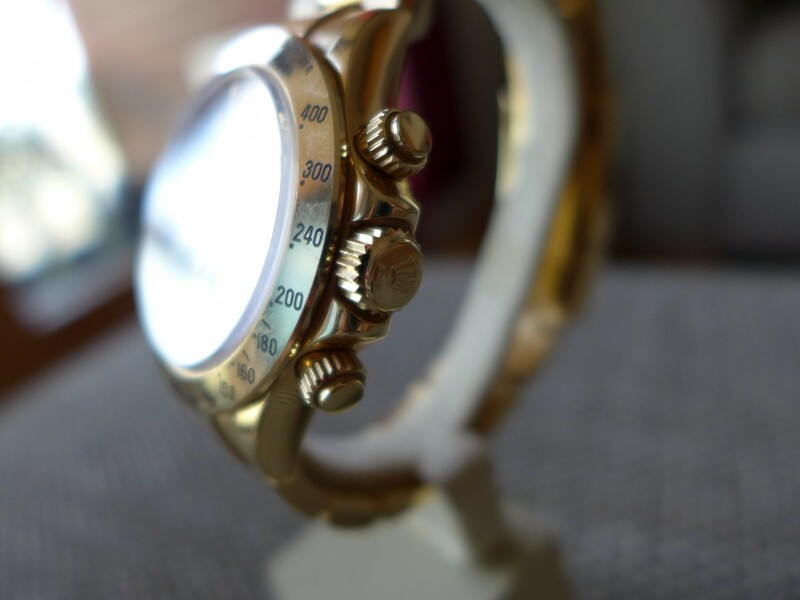 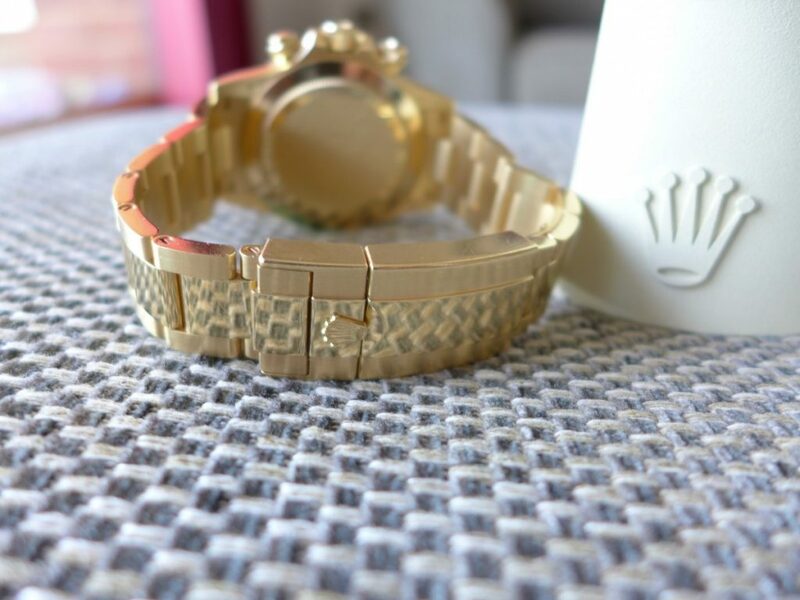 This model is solid gold 18ct and weights a ton on your wrist as gold is a lot denser than stainless steel which I found really noticeable wearing as a every day basis. 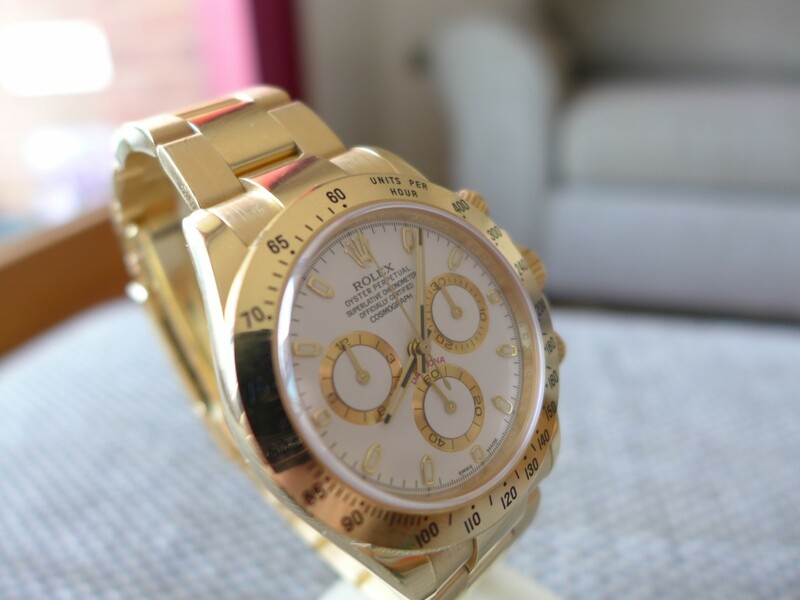 The gold Daytona is a very ostentatious piece that does stand out in the crowd but as gold is very soft compared to steel it marks and scuffs very easy so would suit better for special occasions in my opinion. 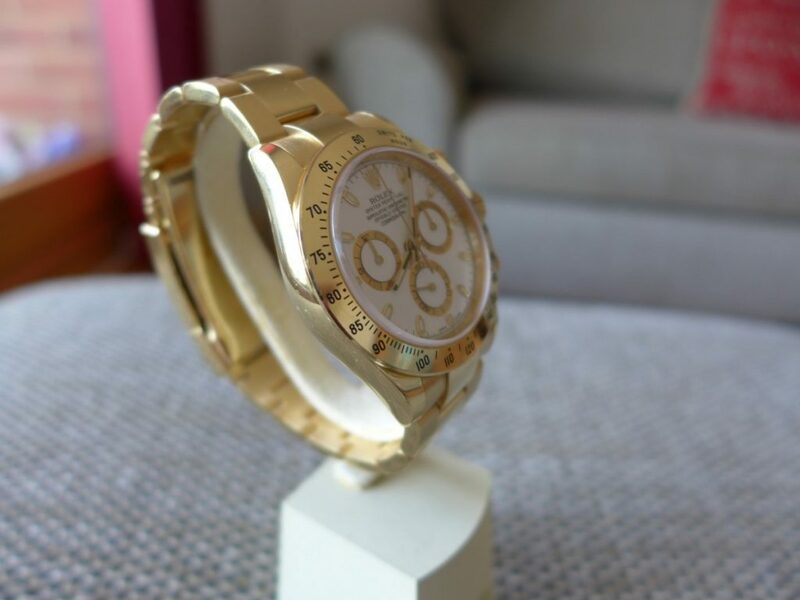 If your looking for bling factor and every day wearer two tone gold and steel Daytona is better option and over half the price and a but more robust, but if money is no issue the gold version is a very nice piece. 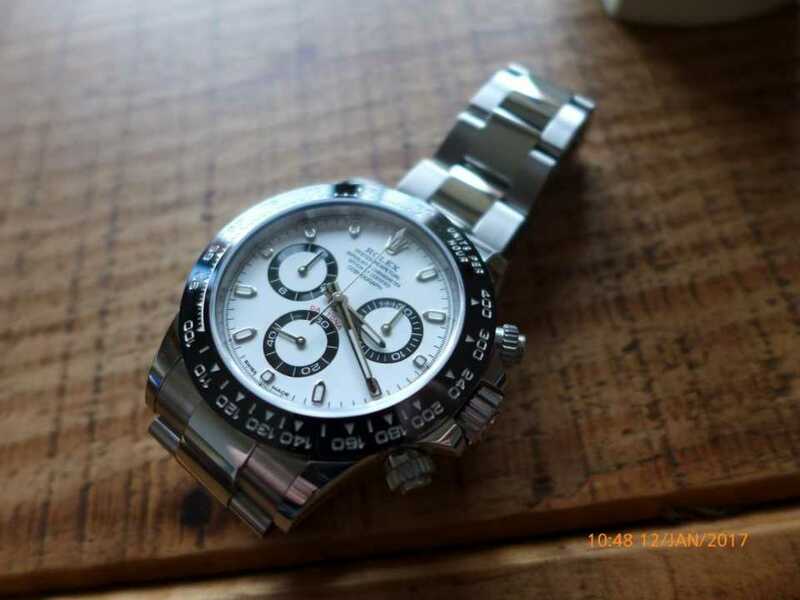 I personally prefer the stainless steel models as they are flash but suttle on the wrist most people have seen or heard of the Daytona without it standing out. 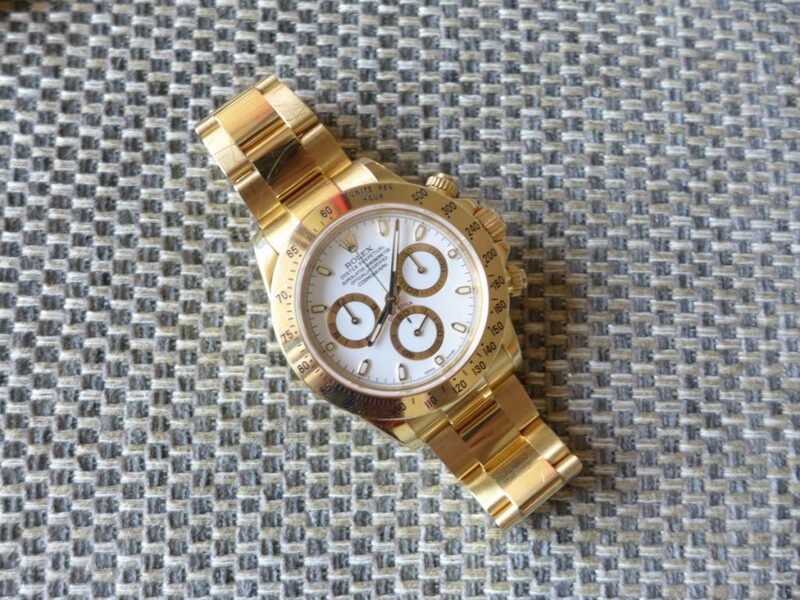 May be in the future Rolex will had the date feature to the Daytona which I feel it misses.